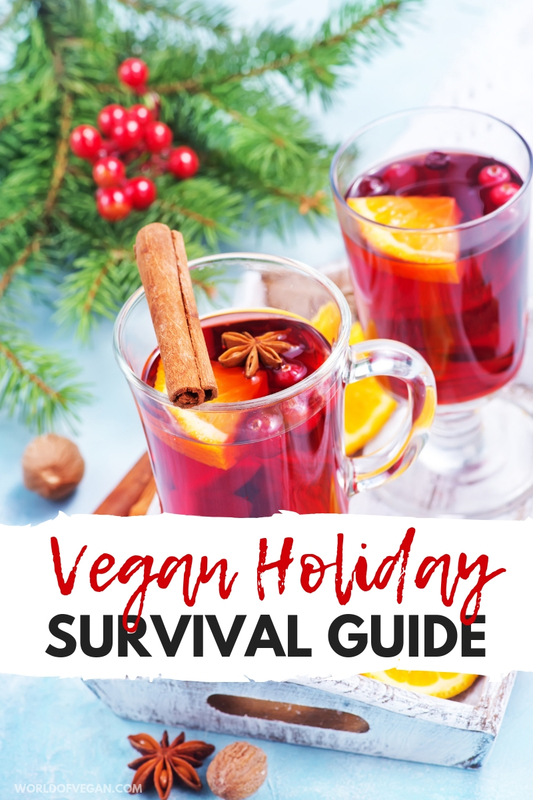 With the holiday season around the corner, many of us living a vegan lifestyle get stressed out by family gatherings and copious amounts of “non-vegan” food (that our loved ones prepare with love and dedication) being offered to us. 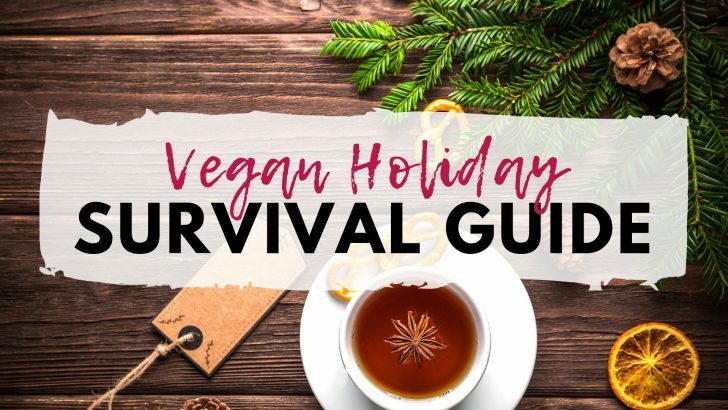 But with a little guidance and effort, you can enjoy the ultimate vegan holiday—and we’re here to help with that! Thanksgiving turkey, buttery mashed potatoes and meat-heavy gravy. Christmas cake and milky chocolates, the list is endless. How can we be a part of the family bunch and soak in all the togetherness without having to say “no” to the food? 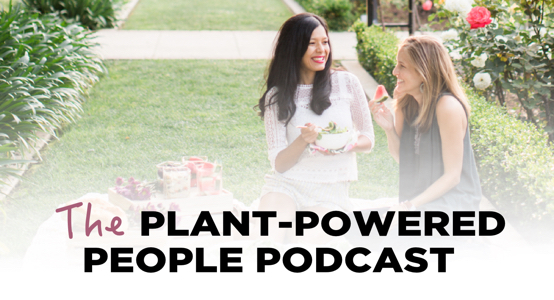 In episode 5 of the Plant-Powered People Podcast, your hosts Toni Okamoto and Michelle Cehn discuss the struggles and how to flip the season by following some tricks that allow us to enjoy this cozy time with our loved ones and still eat all the food! These are glorious times to be a vegan during the festivities! 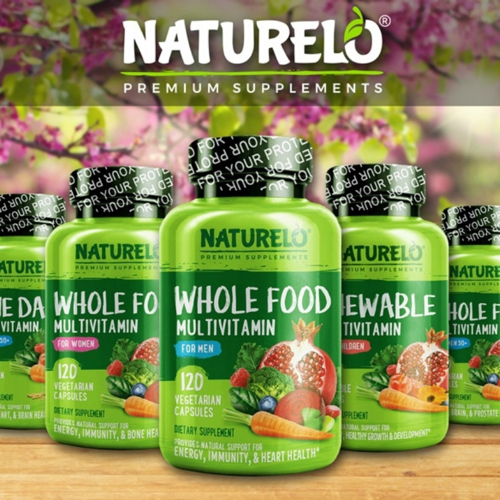 There have never been so many amazing products out there to satisfy our biggest childhood cravings. From vegan roasts to vegan pies (with plant-based whip, of course!). You can read the show notes here and subscribe to the Plant-Powered People Podcast on iTunes, Spotify, or wherever you listen to podcasts. Prefer to Watch on YouTube? You can also watch these episodes on our YouTube channel. 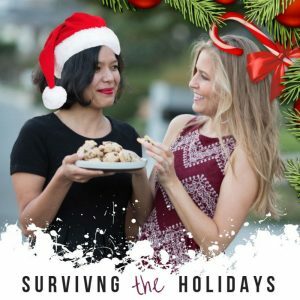 You can find this vegan holiday episode right here. 1. Bring your own delicious dish to share! You have something yummy and vegan to eat while letting others try and fall in love with it (it’s a start!). If you’re hungry for vegan holiday recipes and inspiration, check out our Vegan Holiday Pinterest board or search “holiday” here at World of Vegan. 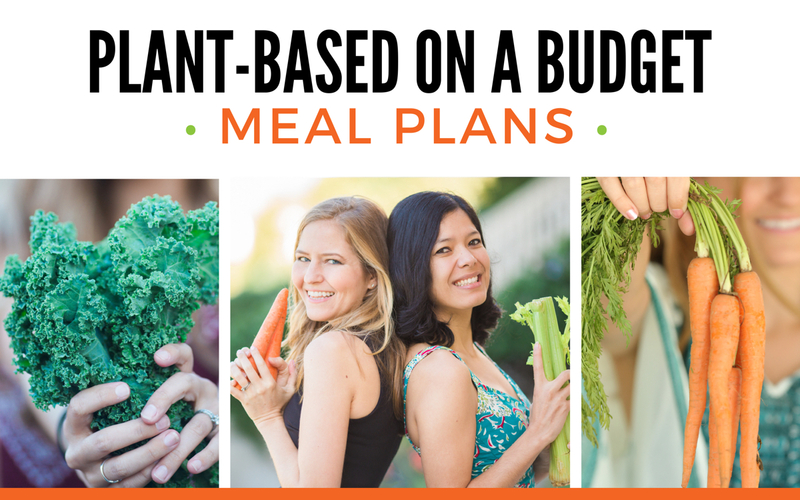 If you’re able, you can even host the holiday celebration and that way you can make it fully plant-based! If you’re not up for hosting your main family holiday, you can always plan your own little gathering of friends to celebrate the season your way. 2. Let your host know you’re vegan ahead of time. This is always a good idea if you are invited to a dinner party since you avoid the cringe-worthy question of why aren’t you eating the food? And making your host uncomfortable because he or she didn’t prepare something you can eat… it can ultimately hurt them more than it does you. All that can be avoided by simply letting them know you’re plant-based in advance! This allows you to be relaxed and not put too much emphasis on all the food you can’t eat or… eat the bread basket in 10 seconds. 4. Find your favorite vegan roast! Like we said above, there are so many alternatives to turkey or any meaty roast now. Try a few before the actual event and bring your chosen one to enjoy and share. Check out the World of Vegan guide to vegan holiday roasts for inspiration! You can look out for roasts from plant-based companies like Tofurky, Field Roast, and Gardein. 5. Don’t be a downer at the dinner table. Your attitude ultimately reflects on others. So seeing a vegan enjoying dinner and enthusiastically talking about her veggie roast, shows how this is not a depriving lifestyle but an abundant one! Hope you found these tips for surviving the holidays helpful. We wish you a very happy holiday! 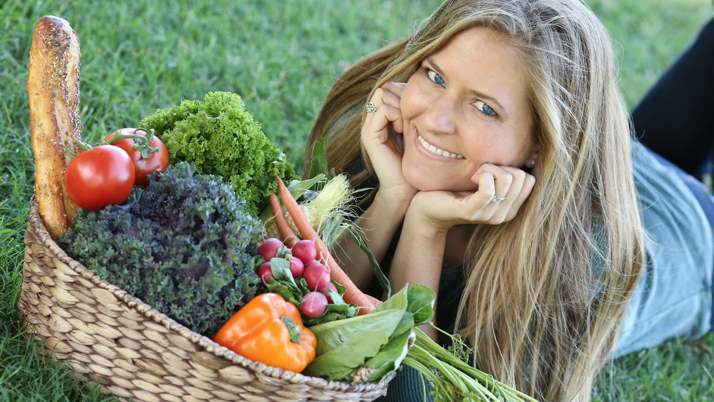 Beatriz is a passionate vegan and mom of three very active boys. She studied liberal arts & art history as well as integrated nutrition (Institute of Integrated Nutrition). Bea lives and works (as a health coach) in London, spending the rare time she is not being chased by her boys spreading the word and exploring London's plant based cuisine.